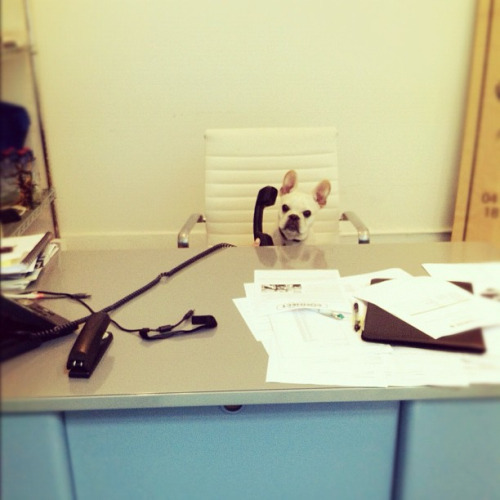 It is most funny picture of a dog which is sitting on a chair of their master in the office and talking on their phone. People kept dogs as a pet in their houses and trained them for certain task. Picture shows that white dog comfortably sitting on master’s chair and receives the phone of their master.